I didn’t give her that name ooo….she assumed that position by herself….lolz. Meanwhile, you guys know how much I love African Outfits, it makes me go gaga when I see ’em. 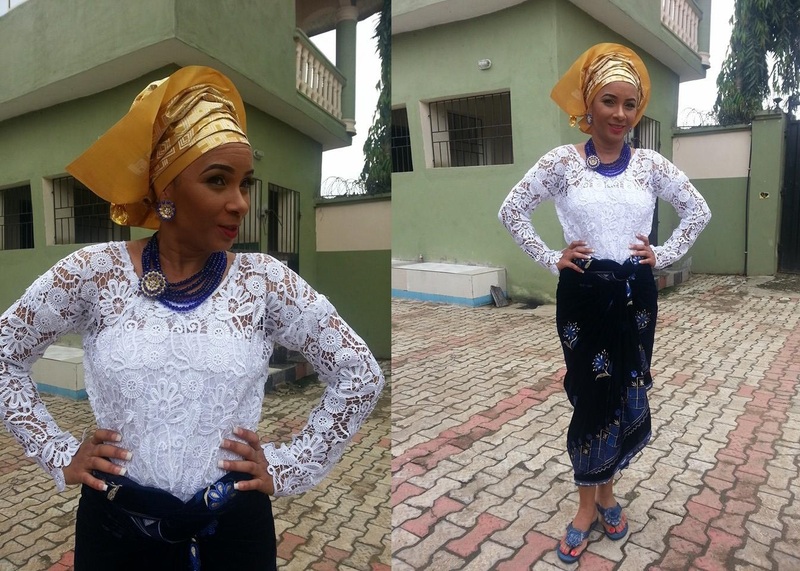 Ibinabo practically looks gracious and lovely on it…good job girl. This entry was posted in Entertainment, Fashion trends and tagged Ibinabo Fiberesima.